Mitch Menaker, President and CEO of Menaker Development has distinguished himself, as one of Arizona’s and Central Florida’s most influential luxury home developers for over 35 years. Menaker Development is now making its Santa Fe New Mexico debut. Menaker began his career in the mid 1980’s in Phoenix and Scottsdale where he distinguished himself as one of the premier Adobe residential and commercial builders in the state. Menaker learned about Adobe design and construction from his mentor, the world-famous designer Bill Tull. Bill was Arizona’s premier Santa Fe adobe designer for 50 years. To this day his homes are regarded as timeless works of art. Menaker built several of the first adobe office buildings in the Phoenix/Scottsdale area including a 26000-square foot adobe medical building in North Scottsdale that can be seen in the gallery of photos attached. Menaker Development has built and or renovated over $100M in custom homes over the past 35 years and has set the bar in every community it has built in. Mitch Menaker has been an approved builder in such prestigious communities as Camelback Country Estates in Arizona as well as Isleworth and Lake Nona in Central Florida. 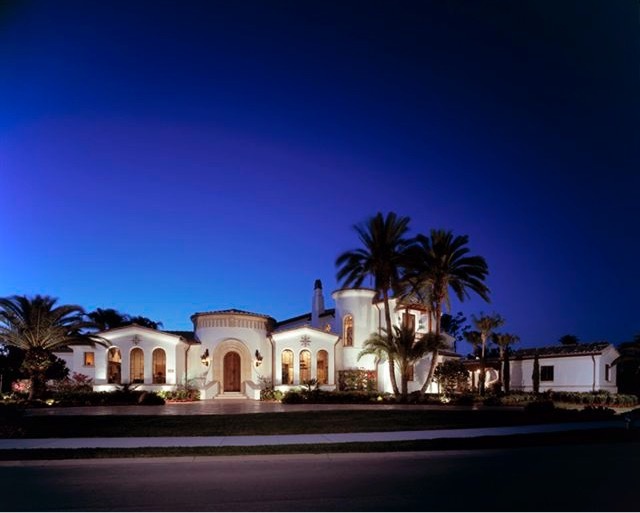 In 2009 Menaker built the most expensive spec home ever built in Central Florida, a $12M, fourteen thousand square foot French farm house that was purchased by a well-known major league baseball player. Regarding itself as a “boutique” development organization, Menaker Development chooses to create fewer, more unique and detailed homes rather than “semi-custom” production homes. Menaker Development homes are often regarded as some of the most detailed, creative, and well executed homes in Arizona, Central Florida, and soon to be New Mexico. Menaker uses antique architectural treasures from all over the world in his homes. These one-of-a-kind historic pieces can range from a single antique door or window to a complete palace from Morocco that was broken up and used in several homes including Menaker’s prior residence at Lake Nona. Whether it is a 300-year-old Pueblo, a 500-year-old authentic Spanish Hacienda or a Park Avenue Classic Contemporary, Menaker is prepared to create your residential art with flawless perfection. A dedicated team with years of experience is poised to join you on the artistic journey of a life time as we create your new home. Working with Mitch and his team was a joy. I could not be more pleased with the workmanship, detail and professional manor that Menaker Development brought to making my dream home a reality. I would highly recommend them and would use them again.